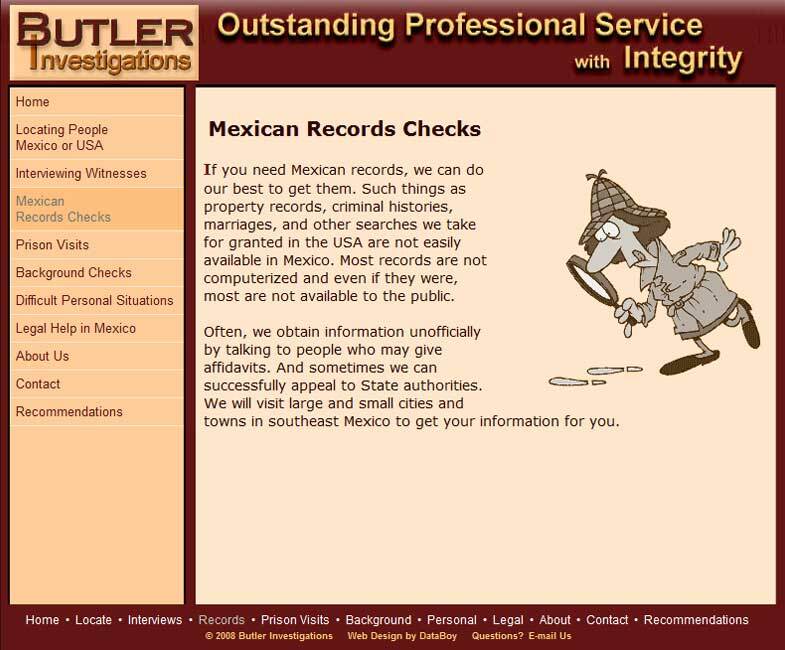 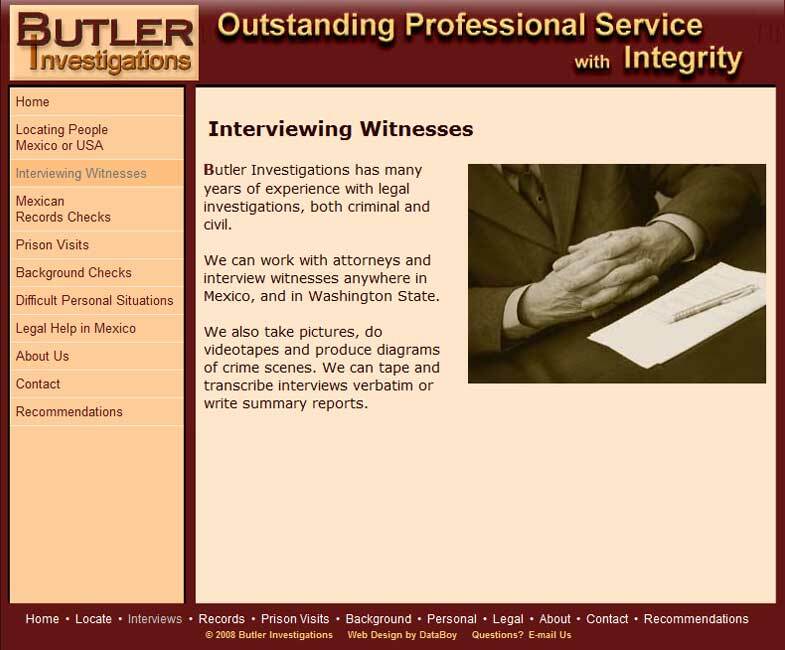 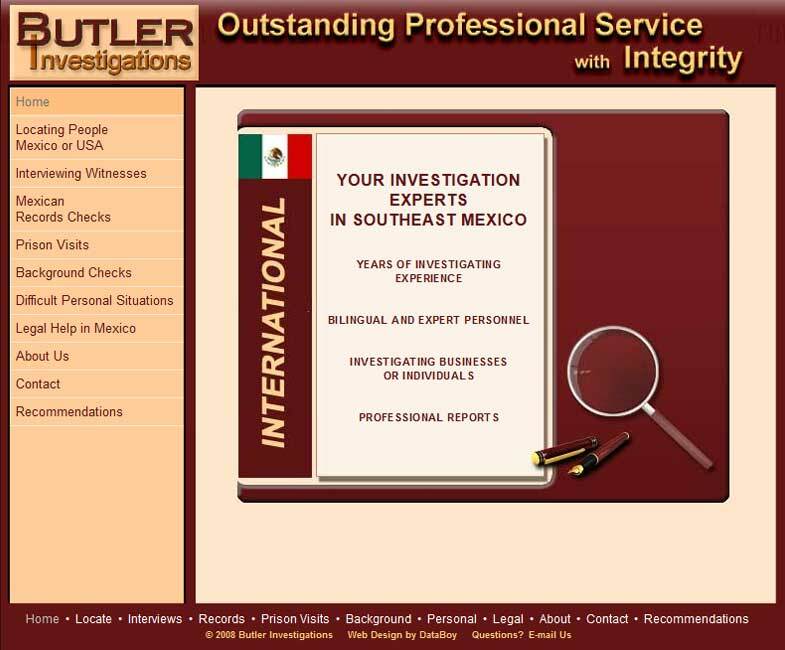 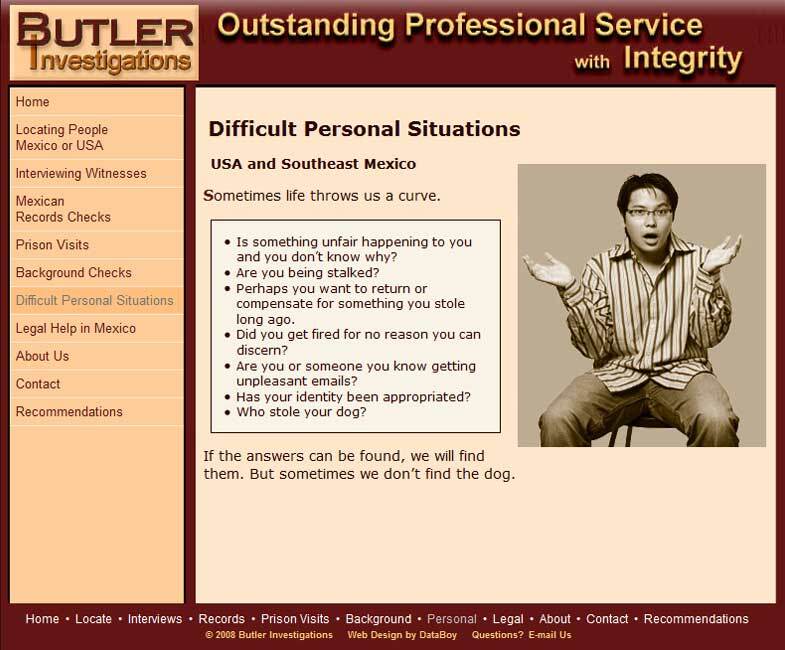 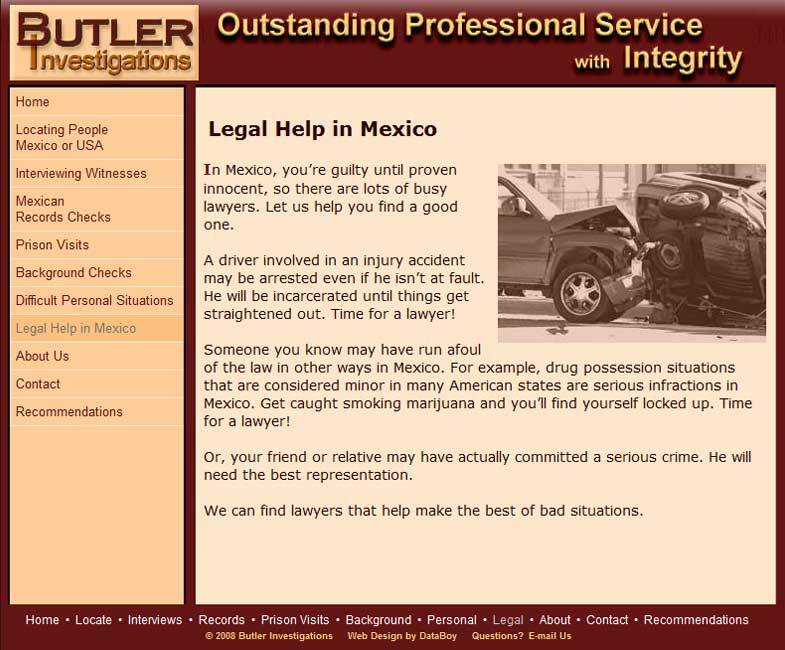 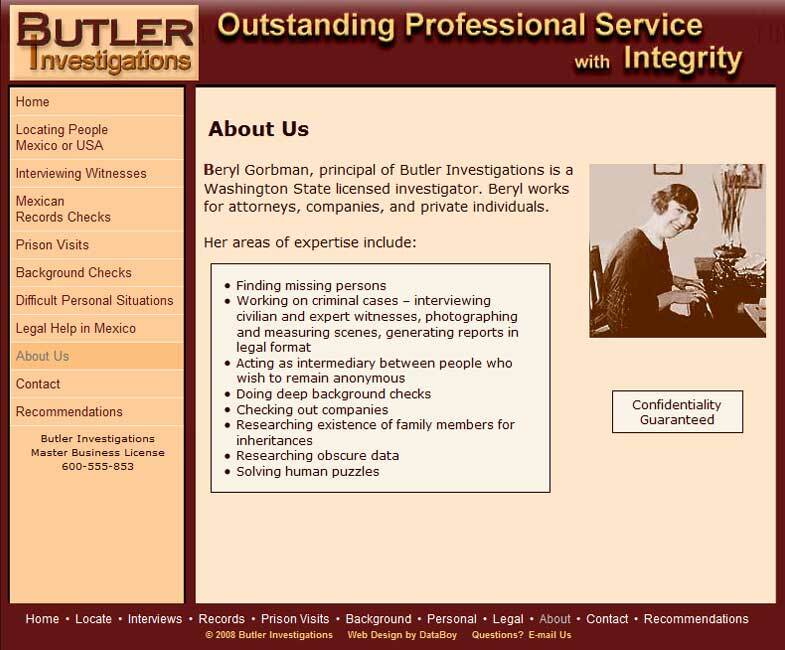 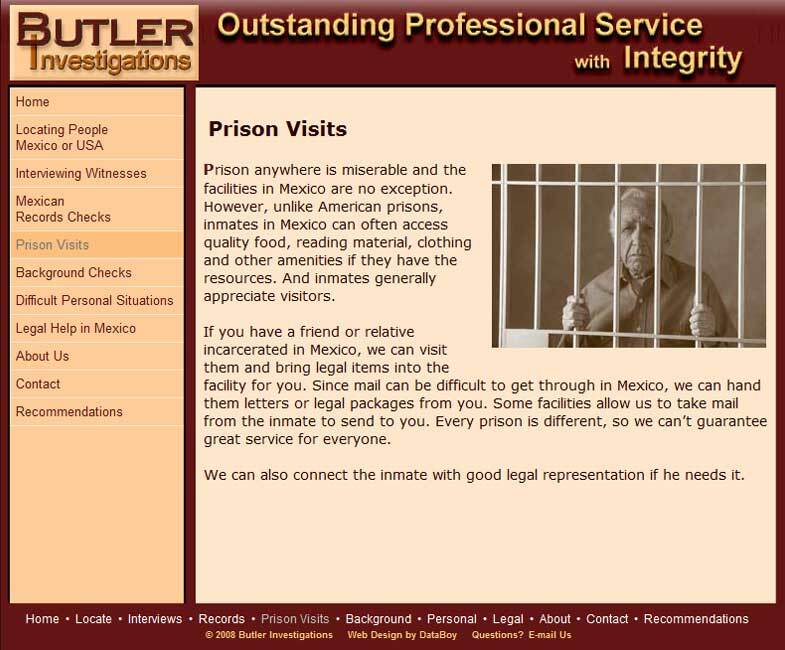 Butler Investigations decided to revamp the original site we did for them in 2004, with a brand-new Web site that went live on January 1st, 2008. 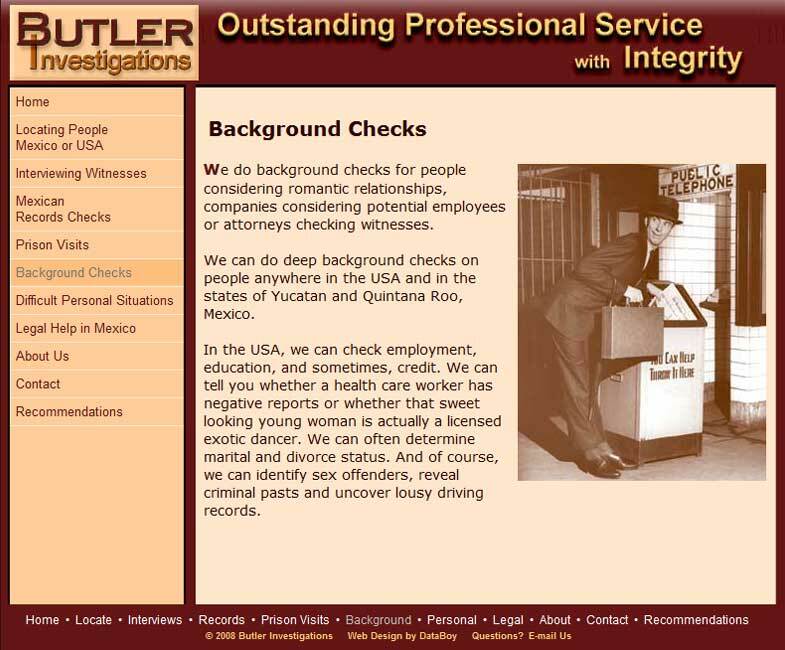 Butler Investigations chose a 40's/50's photo theme for this project. 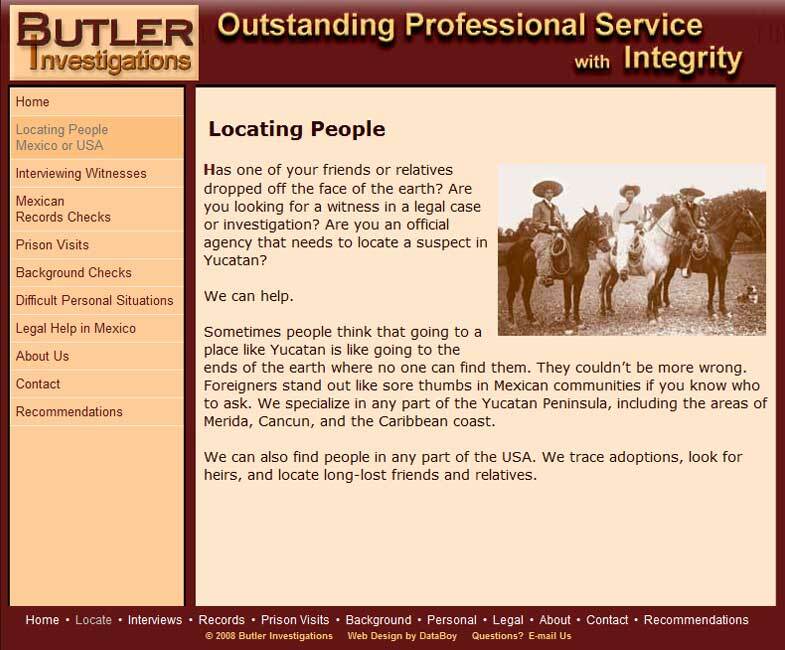 Some of these older photos were enhanced by DataBoy for better online display - some backgrounds were taken out or simplified; contrasts were enhanced; photos were sharpened; sepia tone was added.